Welcome to Corrigan CA Limited - Chartered Accountants and Registered Auditors. 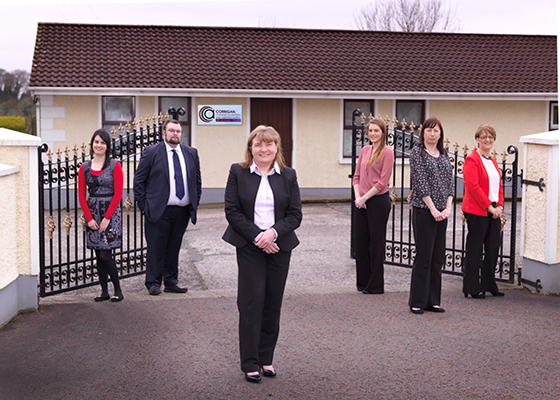 Established in 1990 by Celine Corrigan, Corrigan CA Limited has developed a strong reputation as a highly professional and respected firm of Chartered Accountants. As leading edge chartered accountants we have developed the traditional book-keeping, auditing, and accounting services into innovative client-focused services that provide not only all the reliable background support you would expect from a professional firm but also forward-thinking advice on how to develop and expand/diversify your business. To find out more about how you can benefit from our services, simply click on the links below and below or phone us now on 028 9446 5626 to discuss your needs. We have transformed audit services into a tool that will help identify any potential problems in your business. High levels of customer focused and proven services designed to bring out the best in your business. We provide specialist accounting services right where they are needed in the very heart of your business.